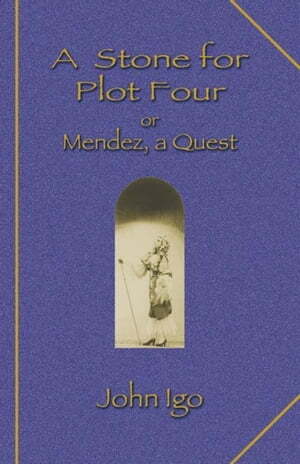 Collins Booksellers - A Stone for Plot Four: Or Mendez, a Quest by Igo, John, 9781609402846. Buy this book online. Over sixty years ago, poet, playwright, and critic John Igo stumbled upon a curious reference to a vanished local literary legend. A brilliant former student at a San Antonio community college, forgotten by none who met him, had gone on to the famed Black Mountain College in the 1930s, and achieved his dream of becoming a staff writer for The New Yorker. And then he vanished. Coincidence and curiosity morphed into an obsession for Igo: Who was Mendez Marks? Why did he die so young, at the height of his swift carreer? A strange history of family secrets, including madness and suicide, emerged along the way. Igo calls his memoir of his sixty-year pursuit of Marks a verbal example of a contained-space sculpture.” It is a biography wrapped in a memoir wrapped in a psychological case study of a brilliant, original soul.